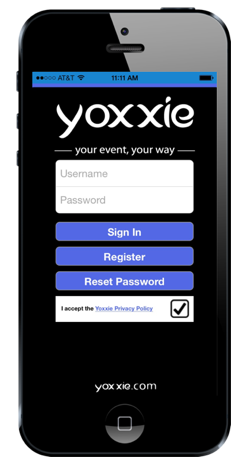 Signing up people for the Yoxxie Mobile Engagement Platform is now more easy than ever. A lot of event planners already have lists of attendees, exhibitors, sponsors, and others ready to go. 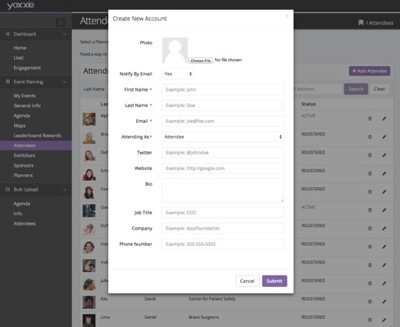 Through the Yoxxie Content Management System planners can upload lists of people over the web in order to quickly handle pre-registration in bulk. No need to involve a third party to do it for you, or to wait hours for the changes to occur. You can do it yourself and have the changes instantly applied. 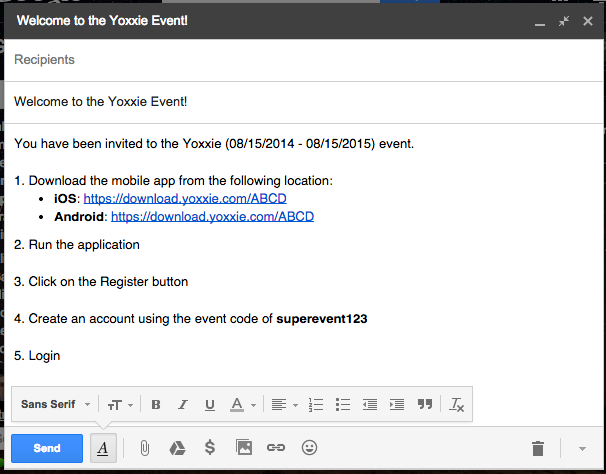 The Yoxxie Content Management System allows planners to manually register and maintain accounts. 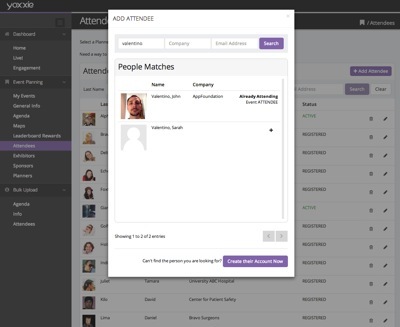 This flexibility gives event planners full control over the registration process.